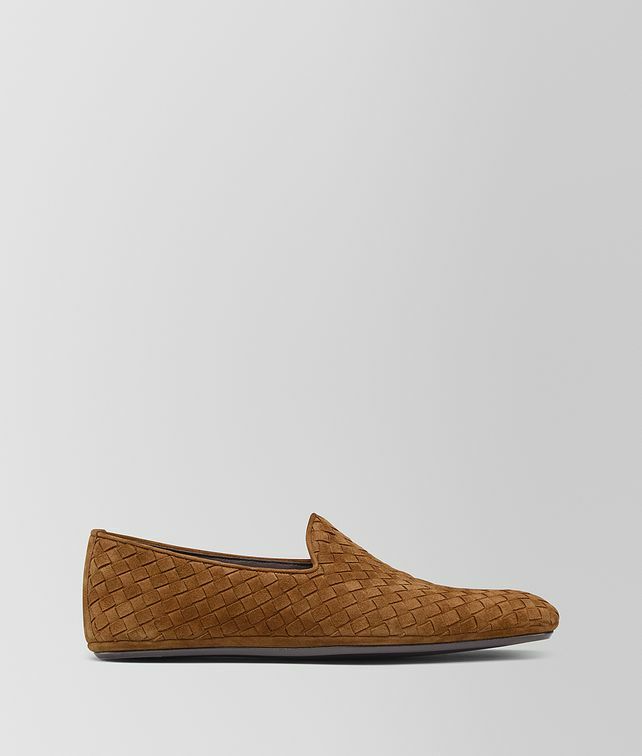 The Fiandra Slipper is hand-woven in luxe calf suede. The design features a rounded silhouette, trimmed with tone-on-tone grosgrain ribbon. With a slightly padded insole and durable leather sole, the style is ideal to wear both indoors and out.